Describing the excavations in the Godavari with the proclains and machinery, explained the loss to the river. In the 2004 election, the East Godavari district, which has embraced his father, has given 18 seats to 21 assembly seats. He explained the various tasks in the district to mark your blessings. In the Rajamahendravaram, Adi kavi Nannaya University and agricultural colleges were set up. 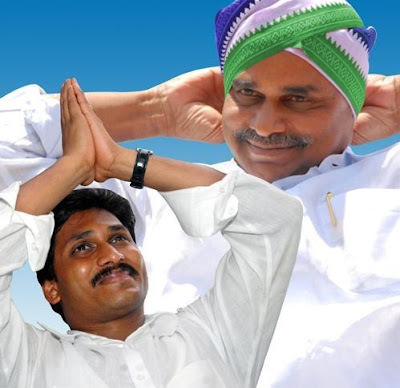 On Wednesday, Jagan started a public holiday on 188th day. YS Jagan's Yatra is on the way to get the pad across the Raja Mahadevaram Railway in East Godavari district. The padayatra started from Railway station and reached Dhavaleshwaram via Lakshminarasimha Nagar and takes a lunch break there. After lunch, Dhanaleshwaram, Bobbarlanka and Peravaram, the padayatra continued to make the JNTU Branch University arranged. Polavaram left and right canals have been reminiscent. Godavari delta has done modernization works for Rs 3,000 crore. The fourth bridge over Godavari was mentioned by his father during YSR. The late Chief Minister YS Rajasekhara Reddy recalled 36 acres of land in Rajamahendravaram area and built a house in 26 acres. The other 10 acres were distributed to the poor as houses and occupied by them. People say 'yes .. yeah ..' the hands raised up when the rulers, who are new houses, can not get the job back and do the job again. He alleged that bribes were taken by taking Rs.3000 Will the borrowers pick up who have taken the Chandrababu borrowers for 20 years at the rate of Rs 3,000 per month? When YS Jagan approached the Mananandari government, the bank declared that the bank would wipe out Rs 3 lakh.